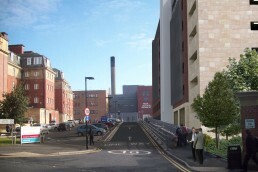 The practice was commissioned to develop proposals for a Multi-Storey Car Park at Newcastle’s Royal Victoria Infirmary. 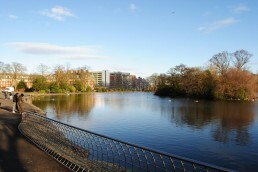 The site is particularly sensitive sitting adjacent to Leazes Park and to Peacock Hall, part of the original hospital dating from 1900. Forming a key part of the continued redevelopment of the hospital site, the key aim is to rationalise car parking across the site to free up other sites for development. 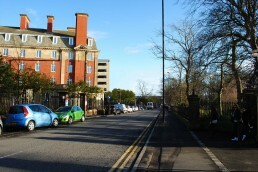 Planned as a staff car park, it allows the existing Multi Storey Car Park on site to act as a public only car park, allowing for a better traffic through-flow and relieving traffic along the busy Queen Victoria Road at the front of the hospital. 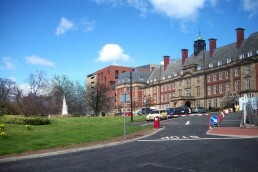 The building also contains clinical shell space and a generator house, again key to continued development on site.